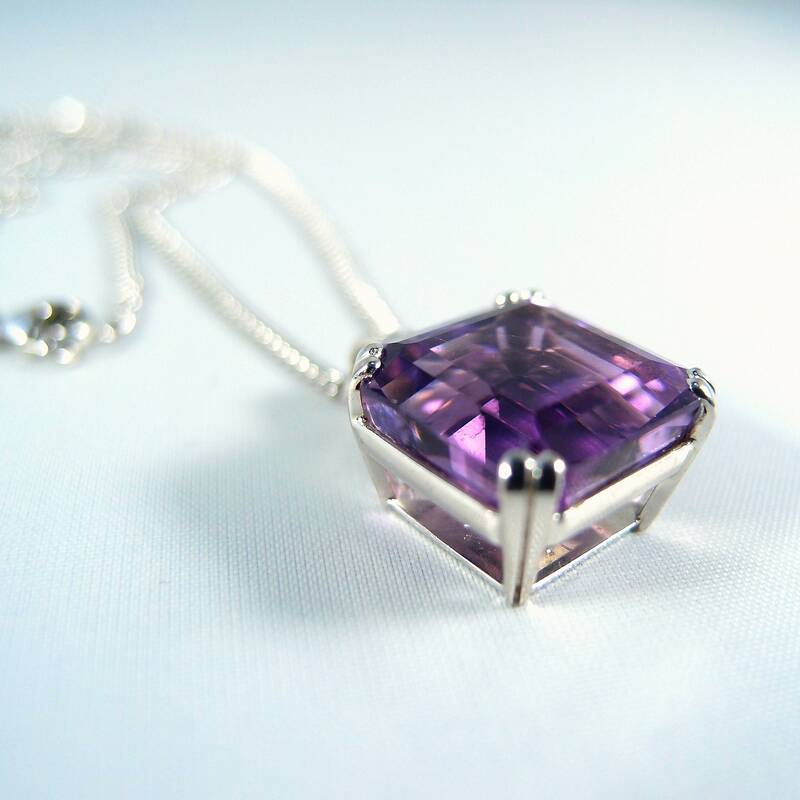 The setting for this royal emerald cut square amethyst brings out the beautiful characteristics of this natural quartz. Shaped as a cube, the pendant gives the gem a dynamic 3-dimentional exuberance. The gem itself is remarkable. 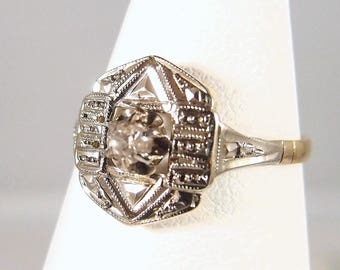 It possesses a translucent clarity and vitreous luster which let the light pass through the stone unhindered. The slightly rose flashes one can observe during certain types of lighting conditions seem to indicate that this beautiful gem has a Brazilian origin. The stone is very clean, meaning that it is free from any inclusions. The estimated weight of the amethyst is 12 carat. It shows very few surface scratches due to less than normal wear, and only visible with a 10X loupe. 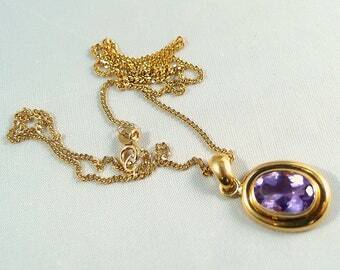 The amethyst is securely set into the gold and the prongs are in great condition. We have added a new and stamped (750) cable chain in 18K solid white gold. They just seem to be a perfect match, but you can buy each item separately. Just ask us, please. This combination makes a wonderful necklace, the focal point of your everyday attire, or the welcome adornment to your sophisticate evening wear. The pendant is in excellent vintage condition. The chain is new. Any white or cloudy spots on the images are glare and/or photographic obstructions.